Today I'm linking up with Brittany from The Kardia and sharing how I will flourish. 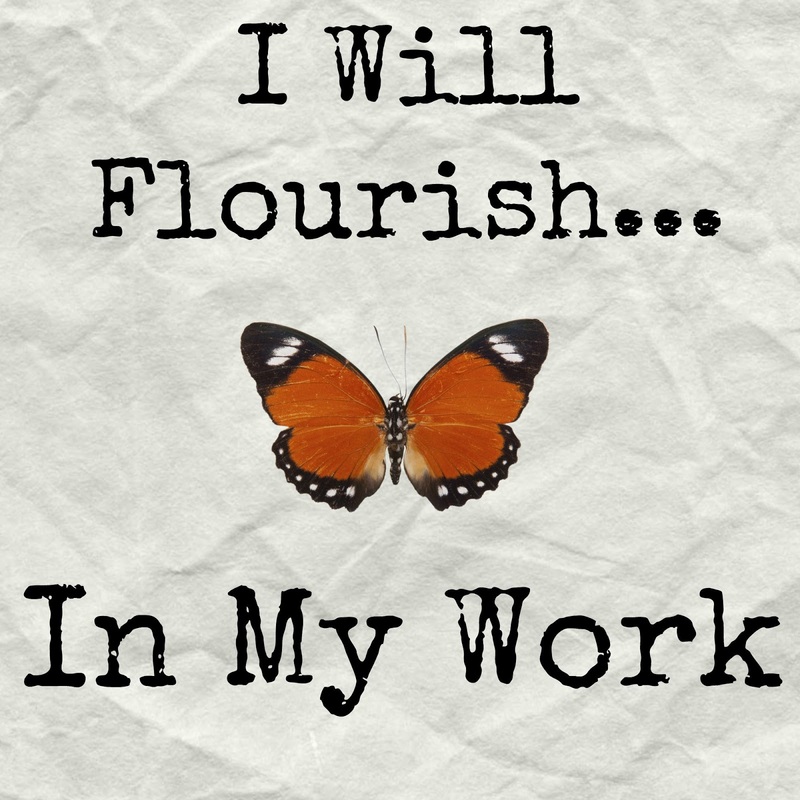 This month's theme is flourishing in our work. But before I get to that, I'm supposed to share ten things I'm thankful for, because as Brittany says, "Gratitude changes everything." My husband who supports and encourages me. Strong friends who encourage me to stretch myself. Downsizing. Having less stuff actually feels pretty good. Time to read books. I love reading! And have been able to do a lot of it as of late. My two cats. Pets really do bring so much joy. Bees. This year I'm really noticing all the honey bees buzzing around and everytime I see them, it makes me smile. They're buzzing from my apple trees, to cucumber plant, to coneflowers. Fresh veggies. I love all the produce available this time of year! Coffee! There's something so nice about waking up and savoring a cup of coffee in the morning. Which brings me to my favorite thing about my job! I work second shift, so I can spend my mornings welcoming the morning with my coffee, and not running to get ready to be to work bright and early. I don't mind coming home from work and going right to bed. 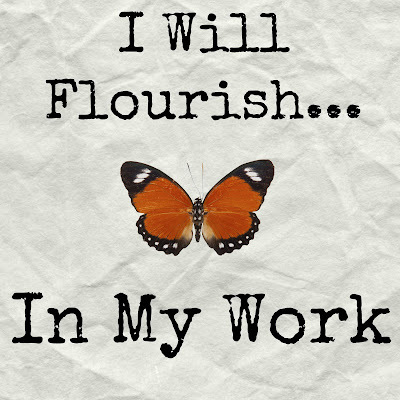 And how to flourish at my job? I don't think it's a secret that I don't love my job. I kind of wrote about it here. But a girl still has to work, so what to do? Here are some my best tips for making work feel less like drudgery. Buy your own supplies. This depends on your job. But I work as a health unit clerk and the hospital I work at uses the worst pens ever. They're kind of waxy and they don't write nice and they're constantly running out of ink. You'd be surprised how much frustration was relieved just by buying my own pens. I wear scrubs so I just stick one in my pocket when I get dressed for work. My favorites are these Pilot Acroballs (which you can get way cheaper at Target or Walmart). Treat your self. If you're having a rough day, buy yourself a coffee or a decent lunch. Sometimes a little treat is enough to perk you up. Keep your skills up and don't be afraid to learn new things. Even if you don't need continuing ed for you job, encourage yourself to learn new things on your own. It doesn't even have to be something intrinsically tied to your line of work. Learning new things keeps you excited and engaged. So, want to see how everyone else is flourishing? Check out the link up below. And be sure to share your tips for flourishing at work in the comments below. I love this post! What a great idea and fun theme to participate. Thanks for sharing Kaylee! I really enjoyed this post. Since I work for myself, it's easy to get in a rut at times. And spending a little time to concentrate on what will make me happier in my office is a great exercise to try.